An interactive database has been on the Zanesville-Muskingum Chamber of Commerce website for the past two weeks. 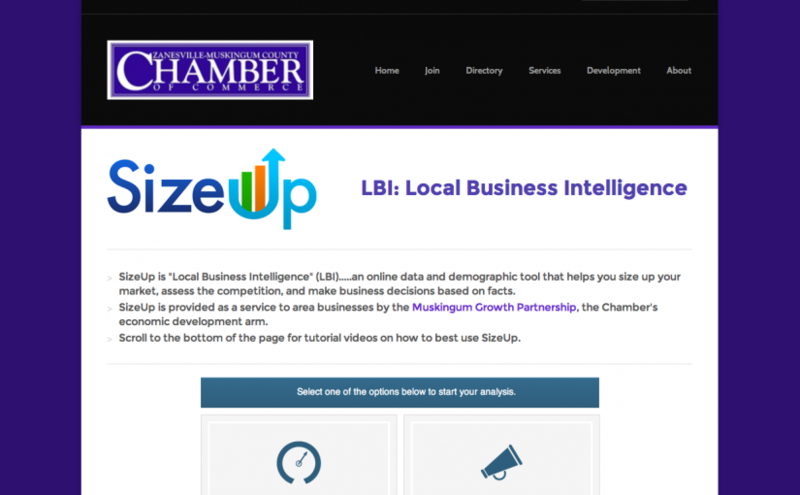 SizeUp Local Business Intelligence is a service to help area businesses target customers. Chamber president Tom Poorman said area businesses say they could use help reaching more customers. Now, with SizeUp, Poorman hopes the chamber has found a way to assist in finding a solution. To help all businesses, the chamber did not limit the database to chamber members. Any area business can visit www.zmchamber.com to use the tool. Chamber spent $4,000 on the year-long subscription, but Poorman said it’s all worth it to help spur economic development.